January has flown by and Valentine's Day is just a couple of weeks away. 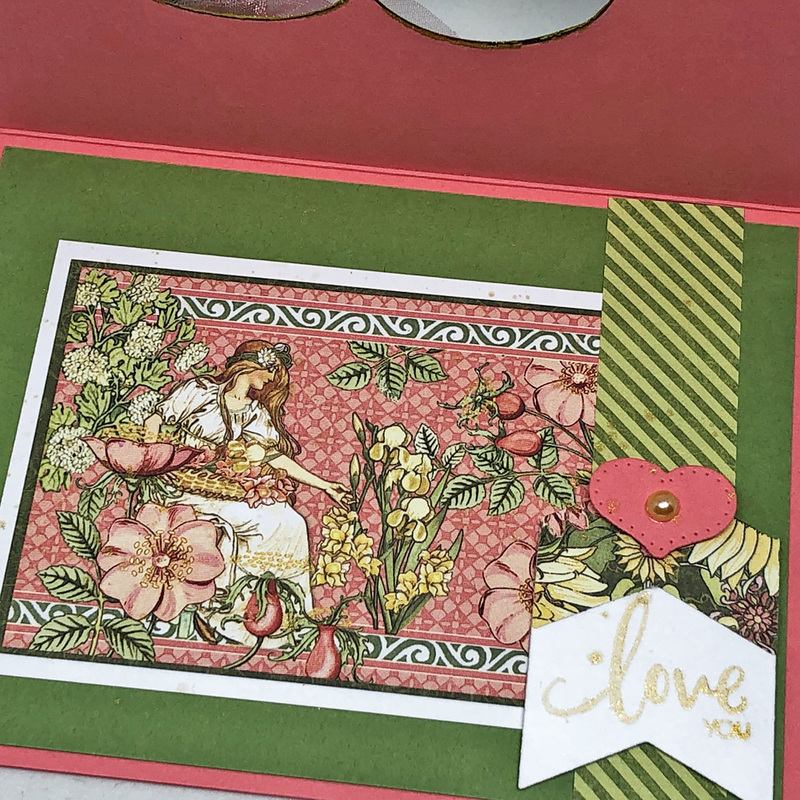 Today's card is a romantic Valentine using Graphic 45's Garden Goddess designer paper and a couple of stamp sets from Stamp Simply's Farmhouse series. 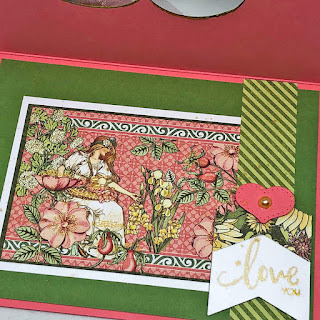 Hopefully you're reminded of love notes and postage-stamped envelopes when you look at it. 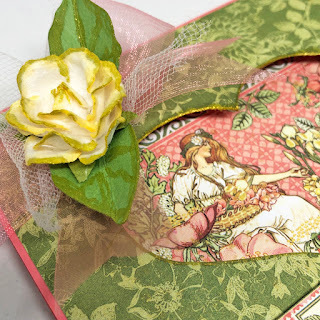 The entire ~ 2.5 x 4 inch image is visible once the card is opened, with a little fishtail banner sentiment along the right side to add some extra interest. The layers of green and white underneath really make the printed image pop. Super simple to put together. Wow, this graphics 45 paper is gorgeous. I just love their designs. Because of my limited budget now, I buy most of my supplies where I find them discounted. I always feel like it's my lucky day when I find a Graphics 45 pad or stack at Tuesday Morning.